Every year MRM participates in the Mormon Miracle Pageant in Manti, UT. If you are interested in joining us, this article may provide information to help you plan. LAST YEAR FOR THE MORMON MIRACLE PAGEANT! This is the last year. Since 1987, members from the Mormonism Research Ministry team have been going to Manti, UT for two weeks each June to participate in outreach at the Mormon Miracle Pageant. Thousands of people from all over the United States come to watch the pageant, a play on the hillside of the temple depicting Joseph Smith and his translation of the Book of Mormon as well as the history of the early Mormons. It’s an exciting time as we have a chance to fellowship with other believers, sharing God’s truth in the hours before the pageant begins at 9:30 p.m. In 2014 MRM produced a thousand copies of a 22-minute DVD that were handed out to the residents of Manti and the nearby town of Ephraim. It was meant to help residents better understand who we are and why we come. Many of you live too far away and would not be able to come. A second way you could participate is help us fund this important outreach. Besides the cost of the DVD production, our needs include transportation (vehicle and gas), fees for tents, and food. To help us with these expenses, go to the Donate button (orange) at the top right corner of this page. Designate “Manti Outreach” in the memo and we’ll be sure to use this money for the pageant expenses. The third way you can participate is pray, pray, pray. Every year we see great things happen and this is our favorite time of evangelism. Our team (Bill and Tammy McKeever, Eric Johnson, Randy and Carol Sweet, Sharon Lindbloom and Aaron Shafovaloff) collectively have more than a century of Mormon Miracle Pageant experience under our belts, but no amount of experience equals the prayers of the saints lifted to the heavenlies. Would you please join us in one (or more) of these ways of participation? 5 p.m. Dinner at Manti Park: Cost per person is $5. Good food served up by Susie. 9:30 p.m. Once the Pageant starts, many Christians congregate at Miller’s Bakery (227 N. Main) in Manti. Great fast food and shakes/malts are available, as we typically pack the place out. Thank you for your interest in helping out at the Mormon Miracle Pageant in Manti, Utah. Since the 1980s Christians have found the pageant to be an excellent place to challenge the claims of Mormonism by presenting the Gospel of Jesus Christ. We hope this information sheet will help with some of the basic questions you may have. Manti (pronounced Man-tie) is located a little over 2 hours south of Salt Lake City in the heart of central Utah and is home to one of several Mormon temples. Since Temple Square in downtown Salt Lake City is not that far, a day trip into the city is not an impossibility. The Pageant is a live production that utilizes the southern portion of Temple Hill as its stage. It begins at sundown (around 9:30pm). Since people arrive early to get a seat we usually start walking up to the temple grounds around 6pm. The streets surrounding the temple are blocked off, giving us plenty of room. You might want to bring a small backpack to carry tracts, Bible, etc. A hat is recommended also. The weather can be unpredictable. Days and evenings are normally warm but a rare summer storm is not uncommon. A sweatshirt is usually more than adequate at night. In order to keep costs to a minimum, most Christians stay at the city’s park located on West 200 North (these are common street names in Utah — just remember that streets called North and South really go east and west and streets called East and West really go north and south). Coming into town (Hwy 89) you will turn west on West 200 North and drive about 3 blocks. Traditionally the northwest corner of the park is where many Christians prefer to camp. The city of Manti charges $10.00 per tent per night or $1.50 per person per night if you choose to sleep under the stars (These prices can change). There is also room for RV parking around the perimeter of the park. Since the park has no shower facilities many use the showers at Snow College located about ten minutes to the north in Ephraim. To verify shower/pool prices you can call the college at (435) 283-7000). Snow College is located just east of Highway 89 on Center Street. Showers and pool are located in the Activity Center near the corner of Center and 400 West. http://www.snow.edu/~schrel/sitemap.html. Manti also has a public swimming pool and showers. For information see http://mantiutah.org/swimmingpool.html. If you like, there is a campground ¼ mile north of Manti. This site offers a pool, showers, and laundry facilities. http://www.templehillresort.com. Manti is one of the few places in the United States that has not been overtaken with chain restaurants. Most restaurants and hotels are owned by locals. Many people like going to Miller’s Cafe (especially after the pageant begins), but if you’re a Gentile who needs coffee in the morning (or anytime), we suggest the local convenience store called the Top Stop (Miller’s doesn’t sell coffee. Remember, you’re in Utah). The Top Stop also sells gas. Manti also has a grocery store, hardware store, and a Laundromat. If you find yourself having a Big Mac attack, you’ll have to go to Ephraim. Ephraim also has a Super Wal-Mart. • Palisade Lake State Park (http://stateparks.utah.gov/parks/palisade). 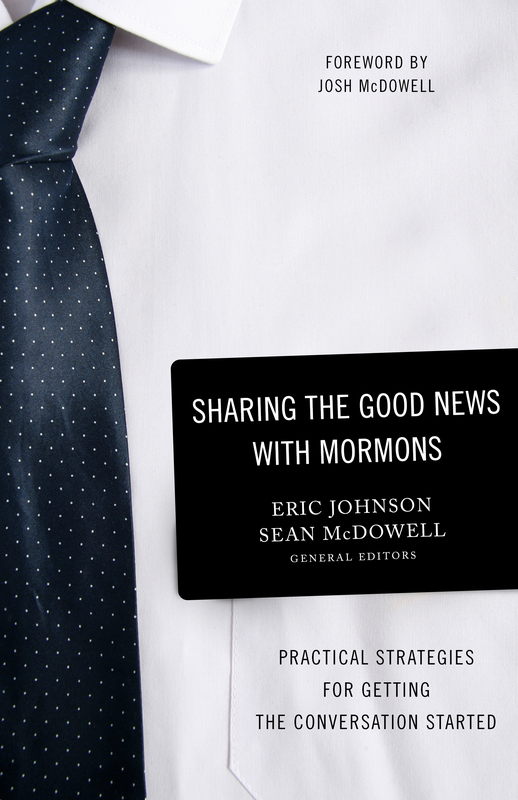 Thanks again for your desire to share God’s Word with the Mormon people. If you have any further questions, feel free to contact the office of Mormonism Research Ministry at (801) 572-2153 ([email protected]) or see http://www.mormonmiracle.org/. What about other places to stay? Palisade Lake State Park (http://stateparks.utah.gov/parks/palisade). Manti is one of the few places in the United States that has not been overtaken with chain restaurants. Most restaurants and hotels are owned by locals. Many people like going to Miller’s Cafe (especially after the pageant begins), but if you’re a “Gentile” who needs coffee in the morning (or anytime), we suggest the local convenience store called the Top Stop. (Miller’s doesn’t sell coffee. Remember, you’re in Utah). The Top Stop also sells gas. Manti also has a grocery store, hardware store, and a Laundromat. If you find yourself having a Big Mac attack, you’ll have to go to Ephraim. Ephraim also has a Super Wal-Mart. If you have any questions, please contact us at [email protected] We hope to see you out there. YouTube videos: Here are some videos you might like to watch. They involve folks sharing their faith before the pageant in the streets of Manti. Go here for additional videos. Why Would Anyone Go to Pageant? Interviews with some folks who come to Manti on a regular basis. Why We Come to Pageant: About 1,000 copies of this DVD were handed out to Manti/Ephraim homes in June 2014. The video shows a little bit of what the Christians are doing at Pageant. Book of Mormon Plates Being Translated: Chip Thompson uses the reenactment of the plates getting “translated” by Joseph Smith to engage passersby in conversation in June 2014. See how he did. Can you lift the plates? Bill McKeever challenges folks to lift his “gold” plates at the June 2014 Mormon Miracle Pageant. 5-minute version of the Gold Plates. Bill McKeever gives a quick run-down in June 2013 regarding his presentation of the gold plates. A Polite Discussion on the Streets of Manti: Bill McKeever speaks politely on the issue of Mormonism and faith. Keith Walker Manti 2014: Evidence Ministries’ Keith Walker challenges a Mormon on important topics at the Mormon Miracle Pageant. Chip Thompson Manti 2014: Solid Rock Cafe’s Chip Thompson shares his faith in June 2014 with a group of teens.